Your safety on the road is our utmost concern. 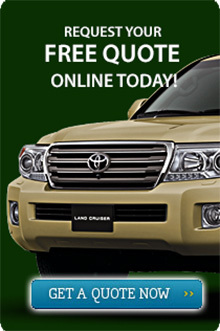 Get only Toyota genuine parts and avoid mishaps brought about by counterfeited parts and accessories. Stick only to genuine parts for a quality performance. V-Belts transfer the eingine's rotation to the colling fan, water pump, compressor and power steering pump. springs to absorb shocks from the road surface. Body Parts absorb the impact of collisions, playing a large role in passengers safety.